Edgartown Seafood has Martha's Vineyard's largest selection of fresh and local seafood from the Larsens — a family that knows fresh fish. We sell a wide variety of fresh fish, shellfish, locally caught live lobsters, prepared dips and spreads and take out. We carry based on what's fresh and seasonal, so give us a call or check us out on Facebook for updates about today's catch. 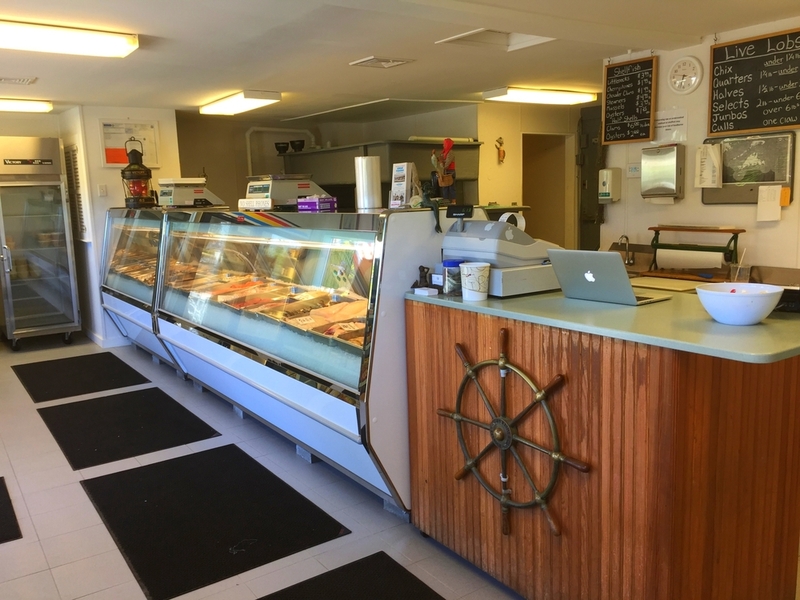 The owner, Danny Larsen, has spent his entire life working with seafood, from his decades working as a commercial fisherman to his three decades of experience as the owner and operator of Edgartown Seafood. Danny's still here everyday, ensuring that we only carry the freshest, highest quality seafood. Our family, the Larsens, has been catching and selling fish on Martha's Vineyard for generations. Danny Larsen opened Edgartown Seafood on a clear spring day in 1987. But both he and his family's relationship with the sea has stretched back for centuries. Dan'l Larsen, Danny's paternal grandfather, first landed on Martha's Vineyard in the early on a merchant sailing schooner from Norway that made an emergency stop for repairs. Dan'l, like his descendants, immediately fell in love with the Island.. Years later he returned with his wife, and together they raised five children here, including three sons, Bjarne, Dagbart and Danny's father, Louis. Louis and his brothers became famous local fisherman on Martha's Vineyard, called the Lucky Larsen's for their record-breaking catches of swordfish. During this time, the Island economy was heavily reliant on fishing and farming, And the Larsen family's boats, the Christine and Dan, the Chilmark Sword and the Chilmark Voyager, were imposing landmarks on Menemsha Harbor. Danny continued his father's tradition as a commercial fisherman, fishing out of Menemsha Harbor for swordfish up and down the East Coast and Gulf of Mexico. As he continued to commercially fish, his father embarked on the next chapter of the Larsen's relationship with the sea by opening Larsen's Fish Market in Menemsha in 1969. As Larsen's became an Island Institution, Danny continued to fish commercially into the 1980's. When Danny was ready to settle down, he again followed in the family tradition by opening his own fish market, where he continues to use his decades of experience to source and sell the freshest, highest quality seafood for customers from around the world. Today Danny runs the fish market with his son, Daniel, who shares his commitment to sourcing and selling the finest quality fish available. Housemade lobster salad made with big hunks of local lobster lightly dressed with mayonnaise, chopped celery and a touch of lemon. Served on a toasted New England style hot dog roll. Fresh picked local lobster tossed with butter, and served on a toasted New England style hot dog roll. Creamy, New England style clam chowder. A hearty soup of linguica sausage, potatoes, tomatoes, kidney beans and kale simmered in a rich chicken stock. With melted butter, available in two pound orders. With broth and melted butter, available in two pound orders. For a quick weeknight meal, it's difficult to beat a perfectly fresh piece of fish cooked quickly in a skillet and served simply with some boiled potatoes and a quick veggie. 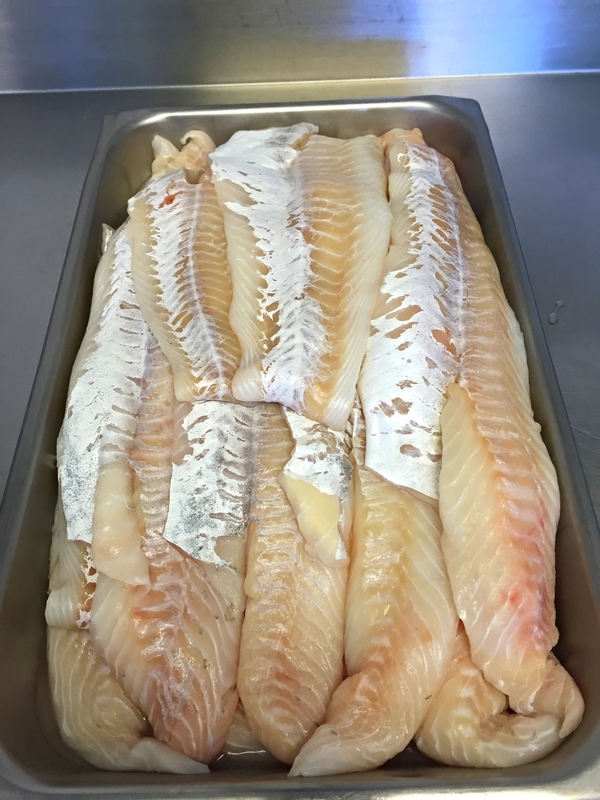 But like most people, we find it's often a challenge to keep flaky but firm textured fish from sticking to the pan. That's why we were so excited when we came across this recipe from J. Kenji Lopez-Alt of Serious Eats for cooking halibut, striped bass or even swordfish. 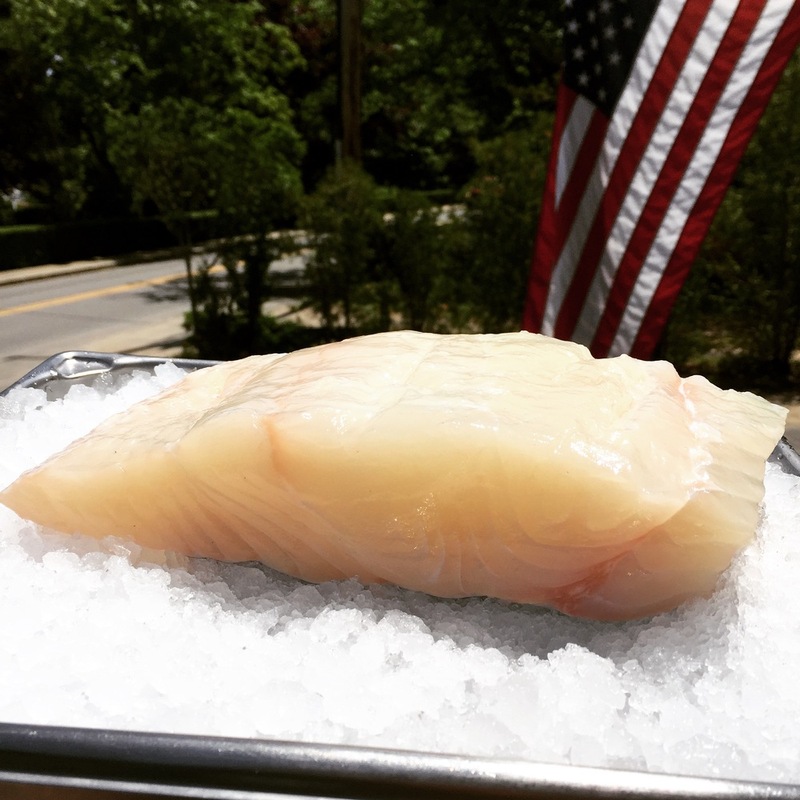 By lightly breading only one side of the filet, the recipe makes the fish easy to cook without being overly heavy. It's a perfect weeknight meal that's fancy enough for a special occasion. Clam Pizza is said to have originated in New Haven, Connecticut at Frank Peper's Apizza. I honestly have no idea if this version is at all similar to that one, all I know is that the day the Larsen family chose to top a pizza with freshly shucked littleneck clams, crispy bacon, caramelized onions and a boatload of garlic is the day an instant classic was born.